James Smith, a 2015 graduate of the University of Texas, continues to live at home while working as the manager of a local dry cleaning establishment. He struggles to make his monthly $282 student loan payments, a significant portion of his biweekly take home pay of $807. With a B.A. in history, James expected to find a job with a research organization or large corporation. He had been reassured by college counselors that history majors were in demand because businesses needed employees who could read and write with critical thinking skills. To his dismay, neither school interviews nor extensive mailings of his resume have resulted in any realistic job offers. Chris, James’ best friend, disliked school and had no interest in college. With rising oil prices driving up the demand for oil field workers, Chris quickly found work as a roustabout for $18 an hour after high school graduation. Four years later, he is making $60,000 on a drilling crew. Chris has an apartment, a new pickup truck, and money in the bank. Today, James wonders if college was worth it. He hasn’t found work in his chosen field and still depends on his parents for room and board. He is stuck in a job with few benefits and no prospects for advancement. Students today are paying more to attend college and earning less when they graduate. Is it still worth the money, effort, and time? According to The College Board, the average cost of an academic year in an in-state public college in 2015-2016 was $24,061 including room and board. An academic year at a private university averaged $47,831. According to the Complete College America Alliance of States, the number of students graduating with a bachelor’s degree in four years ranges between 19% and 36%, depending on the university. The average graduate spends an extra half to a full year to graduate (4.4 to 4.9 years), adding to the base costs of attendance. As a consequence, the typical cost of an undergraduate degree is well over $100,000, not including the lost income for the extra years spent in school, or interest incurred in paying back loans. It’s imperative to determine if the exorbitant price tag is worth it. While college is ideal for some people, it’s not for everyone. In 2015, almost 30% of graduating high school seniors decided not to attend college. Of those who choose to attend, only half graduate within six to eight years, according to the Department of Education. Those who do graduate may find that their expected job is difficult to land – in 2015, the unemployment rate for 20- to 24-year-olds with a bachelor’s degree or higher was 11%, according to the National Center for Education Statistics. Per the Federal Reserve Bank of New York, as of 2012, 44% of recent graduates were underemployed, working jobs that do not require a degree, driven by their need to start repaying college loans. College is expensive, time-consuming, and fraught with distractions. 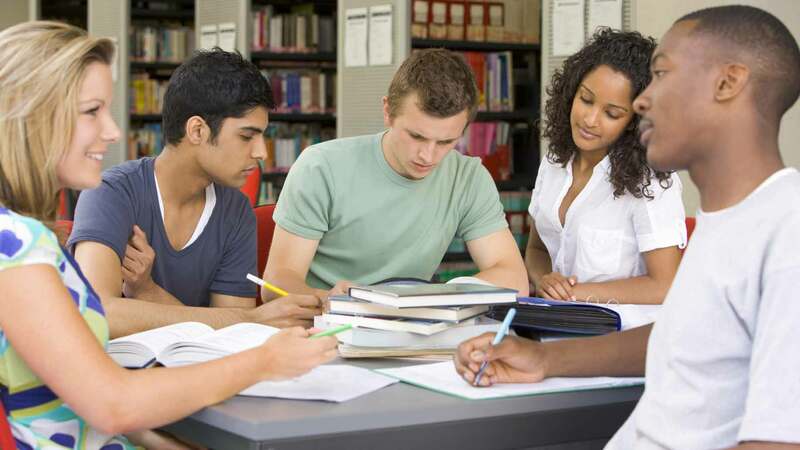 Every week, the average student incurs 12 to 15 hours of class time, spending another 18 to 25 hours studying, according to the National Survey of Student Engagement. Almost 15% spend more than 26 hours per week preparing for class. Over 80% of students believe that they spend “quite a bit” or “very much” time on academic work. Just graduating from college is not enough to ensure a good job or a bright future – class standing matters. A 2014 report from the Federal Reserve Bank of New York indicated that those graduating in the lower 25% of their college class earn about the same or less than the typical worker with a high school degree. As a consequence, the authors note that the cost of earning a bachelor’s degree isn’t worth it for some people. Fortunately, there are alternatives. According to the American Association of Community Colleges, 50% of college undergraduates go to a community college, with minorities especially taking this route. Attending a community college for an associate degree costs considerably less than attending a four-year institution, with 2015-2016 annual tuition averaging $3,430 at more than 1,100 community colleges nationwide. Furthermore, most attendees continue to live with family while in school, and more than two-thirds of the students work part-time. An associate’s degree typically takes 60 semester hours (or two years) to complete as a full-time student and is considered the equivalent of the freshman and sophomore years of college. Students take a variety of classes, including basic courses in English, mathematics, humanities (economics and history), and science. Those who hold associate’s degree are likely to continue to be in demand, finding work as occupational and physical therapists, registered nurses, dental hygienists, paralegals, preschool teachers, and electronics/engineering technicians, according to Business Insider. Many students elect to pursue certification, which shows that the student has satisfactorily completed a specialized form of training. Most certification programs take less than a year to complete, although some specialized fields can take up to four years. Passing an exam at the end of a program is often necessary to demonstrate competence. According to a report from Georgetown University, 12% of the labor force has a certificate of some kind – about the same number who have received a graduate degree. Middle skills jobs – those jobs that require some education and training beyond high school, but less than a bachelor’s degree – represent about half the jobs in the workforce, and continue to be the foundation of the middle class. Certifications are available in occupations like plumbing, electrical work, machining, clerical work, police work, and firefighting. Demand for qualified applicants is significantly higher than supply due to a lack of education and training in the necessary skills to perform the work. ManpowerGroup‘s annual poll of global employers found that skilled trades jobs are the hardest to fill. 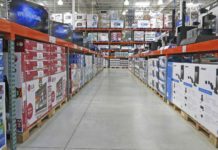 As a consequence, trade schools and community colleges are expanding their course offerings, while companies are bulking up their in-house training and development departments. The growing need for middle-skilled jobs is an opportunity for those high school graduates seeking an alternative to four years of college and a load of student debt at graduation. 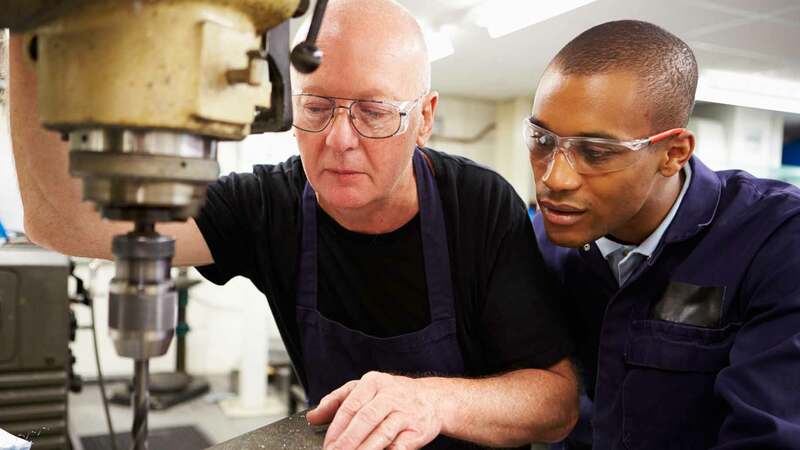 Apprenticeships are structured, systematic programs of supervised on-the-job training. They may also include classroom instruction, typically provided by employers, labor unions, or employer associations. Depending on the occupation, apprenticeships last from one to six years with raise increases as students gain work experience. Apprenticeships are available in more than 1,000 occupations including plumbing, electrical work, masonry, dental assistant work, and heavy equipment operation. Statistics from the Department of Labor (DOL) indicate the average starting wage of an apprentice is $15 per hour. Due to the personal or on-site nature of the work, these jobs are unlikely to be outsourced overseas. The DOL and federally recognized State Apprenticeship Agencies operate a formal Registered Apprenticeship Program. According to the White House Office of the Press Secretary – an ardent supporter of apprenticeships programs – 87% of apprentices are employed after completing their programs, with an average starting wage greater than $50,000. Incomes vary, but the highest incomes today are earned by elevator installers and repairers, pile-driver operators, plumbers, pipefitters, and steamfitters. The Federal Government recently announced a new $90 million investment encouraging apprenticeship programs. High school graduates are actively recruited to join one of the military branches – Army, Navy, Air Force, Marines, and Coast Guard – with an assignment to one of many career specializations that are transferable to civilian life. Depending upon their service, many discharged service members receive college credits that can be transferred to a college if they pursue a degree. Graduates receive a Bachelor of Science degree and then commissioned as officers in their respective service branch. In all cases, there is a five-year service obligation. Many high school seniors elect to join the Reserve Officer Training Corps (ROTC) offered in more than 1,000 colleges nationwide. By committing to serve for some years after graduation, they receive a paid college education including room and board. After graduation, they can participate in an officer candidate school (OCS) and graduate as an officer (second lieutenant or ensign, depending upon the branch of service). Starting pay for a new recruit with a high school degree is comparable to private-sector entry level jobs for other graduates, with promotions and additional pay depending upon the recruit’s service specialty, location, and tenure. Compensation includes a housing allowance, health and dental benefits, and education benefits under the Post-9/11 GI Bill and the Yellow Ribbon Program. According to an Army pay calculator, a 15-year veteran can earn up to $83,019. Some students elect to find employment immediately after high school, hoping that actual work experience will offset a lack of college credentials. Others consider full-time work as temporary, lasting a few years in order to save for college or experience life without the day-to-day rigors of school and parental control. According to PayScale, a recent college graduate will find an average starting salary of $9.83 hourly, growing to $14.20 an hour by years five to nine. However, jobs can be hard to find, with more than 16.4% of 2015 graduates unemployed, according to the Bureau of Labor Statistics. While some graduates find a well-paying position, the choice for many high school graduates is limited to food service, retail, or clerical occupations at the minimum wage or slightly above. Many of the highest paying jobs for a high school graduate – such as oil field worker, electrical power-line installer, and railroad worker – require working in extreme working conditions with volatile materials or dangerous equipment. Hours are often irregular and require extensive time away from home. Promotion often depends upon further training, whether on-the-job or completion of a certification course. Many claim that scholarships and grants dramatically reduce the costs of attendance. According to The College Board, about two-thirds of full-time students paid for college with the help of grants and scholarships in 2014-2015. The National Center for Education Statistics (NCES) estimates that 51% of this aid goes to students whose family income is below the median household income ($57,263) of the United States. According to NCES, the average amount of annual assistance for a student attending a four-year public college was $5,000 in 2011-12, increasing on average of $100 per year. The most common grants – Pell Grants – are based upon need, college, and status as a part- or full-time student and provide up to $5,815 annually for a maximum of six years (12 semesters). 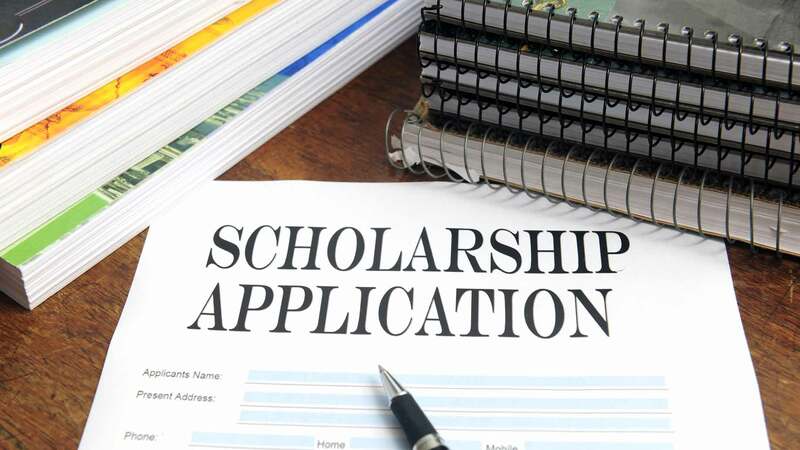 Scholarship experts recommend that students diligently seek as many scholarships and grants as possible, but note that very few receive enough aid to cover all of their college costs. Mark Kantrowitz, the author of “Secrets to Winning a Scholarship” and publisher of FinAid.com, notes at The Color Of Money that less than 1% of students receive enough to cover the full cost of attendance. There are fewer scholarships available based upon need due to a combination of tight state budgets and a trend to merit-based grants. On average, college scholarships reduce the costs of attending a four-year school by about 20%, to slightly less than $20,000 per year, or $92,000 for the 4.6 years of attendance. Many colleges have established need- and merit-based scholarships through their endowment funds, especially Ivy League schools. According to U.S. News, Harvard’s endowment fund is the largest in the nation with more than $36 billion, while Yale is second with almost $24 billion. Princeton ranks fourth on the list at $20.5 billion. Stanford University – third on the list – is using its $21.4 billion fund to offer students whose parents have an annual income or assets less than $125,000 free tuition. The students whose parents make less than $65,000 annually can receive free room and board. According to the 2014 Sallie Mae National Study of College Students and Parents, the average family pays 37% of their children’s college cost with their income, savings, and borrowing. The student covers an additional 27% through work, savings, or borrowing (scholarships and friends account for the remaining 35%). According to The Wall Street Journal, the average 2016 graduate leaves college with more than $37,000 in public and private debt. There are multiple federal student loan programs available to undergraduate and graduate students, with interest rates generally lower than those charged by private lenders. Some loans are need-based with annual and lifetime limits. Begin Preparation Early in High School. Grades and class standing matter in the distribution of scholarships. College admission directors recommend that high school applicants have a minimum of four years of language arts (English reading, writing, and speaking), four years of math including algebra and geometry, three years of science, and two years of foreign language. Every applicant should be proficient with computers. Take advanced classes or dual credit (college and high school) when they are available. Study for the ACT and SAT. Many colleges require a minimum score for admission or consideration for scholarships. Prep courses are available through books, classes, and online. 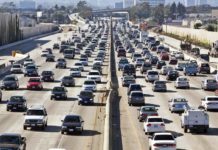 According to The Wall Street Journal, freshmen entering Georgia State University with a SAT score of 1200 might qualify only for a one-time $500 award, while those who score 50 points higher might be eligible for a renewable scholarship of $3,000 a year. Apply Early for Scholarships and Grants. In addition to the financial assistance provided by colleges, state governments and the Federal Government typically offer need-based assistance. Companies, civic groups, and organizations are a major source of merit-based aid. There are scholarships exclusively for minority students, women, and arts and music majors, as well as scholarships available for those who perform community service. Students should apply as early as possible since there is more demand than supply for the better-known programs. Seek College Credits. Passing Advanced Placement tests and taking dual credit courses – junior and senior high courses that meet high school graduation requirements and earn college credits simultaneously – can reduce tuition costs and the time required to get a bachelor’s degree. 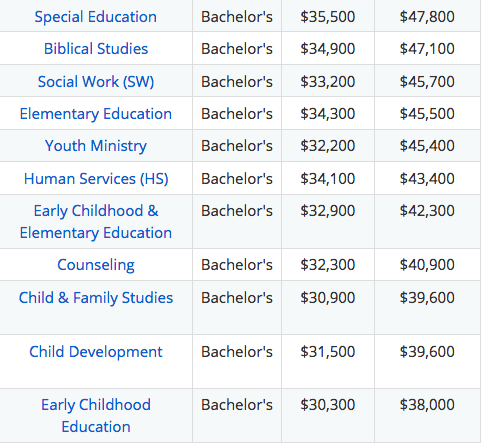 Select a Major That Will Be in Demand at Graduation. Unless the student plans to attend law school or graduate school, or teach, a STEM (science, technology, engineering, mathematics) or business degree – rather than a liberal arts degree – may have a higher financial return. Attend a Community College for Freshman and Sophomore Years. Tuition costs at a community college are substantially less than those of a four-year school. Also, students can live at home, avoiding the costs of room and board. It is important to confirm that community college credits can be transferred and will be accepted in full by the subsequent four-year college before making course selections. Attend Summer Sessions. Summer classes have shorter terms and smaller classes. Attending can allow you to keep on track for graduation, or even cut a semester or two off a four-year track. A fall or spring semester typically runs 30 weeks (excluding time off), while a summer semester is usually 12 weeks with minimal breaks. While tuition costs are similar, ancillary costs – room and board, entertainment, and travel – are typically less due to the shorter semester duration. Take Online Courses. As college costs rise, more students are using online courses – sometimes referred to as long-distance learning – as a substitute or supplement to on-campus classes. Due to costs, time conflicts with a job, or remote location, some students pursue online degrees. A study by the Federal Reserve Bank of New York indicates that choice of college majors significantly affect the return on a degree. Graduates with degrees in engineering, math, and IT – majors providing technical training – have greater employment opportunities and earn almost double the return on liberal arts, agriculture, and education majors. Another study – The Multi-Generational Job Search Study 2014 – claims that only 2% of companies actively recruit liberal arts graduates versus 27% for engineering and computer information systems and 18% for business majors. Explanations for the decrease in more liberal arts study include automation and offshoring of less specialized and routine tasks. A report by the Association of American Colleges and Universities (AAC&U) and National Center for Higher Education Management Systems recognizes that the earnings gap between liberal arts and science/math majors significantly expands throughout a career. For example, a graduate in mathematics or the physical or the natural sciences earns 30% more during the peak earnings years between 56 and 60. Another study published by the National Bureau of Economic Research claims that a STEM graduate earned $1.8 million more than student with a degree in the health field over a working career. The AAC&U research notes that 40% of liberal arts graduates go on to earn advanced degrees and are more likely to pursue social service jobs (such as counselors, community service workers, and religious workers). Whether B.A. graduates are drawn to such jobs or because they are the only jobs left is unclear. Writing in The Wall Street Journal, Arianna Huffington, president and editor-in-chief of the Huffington Post Media Group, advises, “Ultimately, success is not about money or position, but about living the life you want, not just the life you settle for.” Studies from the Marist College Institute of Public Opinion and Princeton University’s Woodrow Wilson School suggests the ideal range of annual income for maximum happiness is between $50,000 and $75,000. 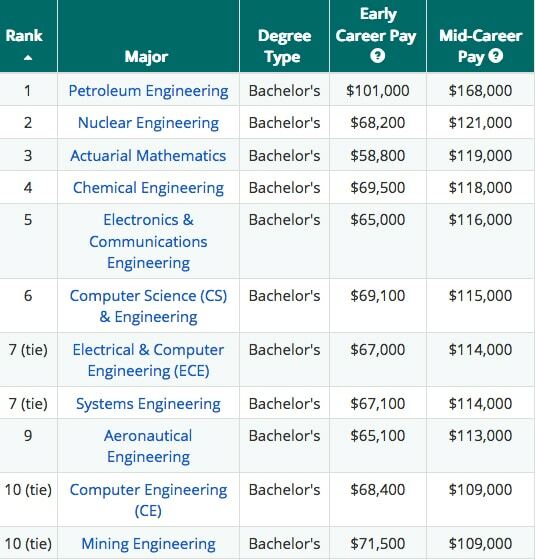 The following table consists of the bottom 10 majors ranked by starting salary and expected salary with 10 years of experience. Fortunately, income is not the only consideration when choosing a career. Statistics have historically indicated that college graduates have more job opportunities. According to a 2014 Pew Research report, millennials with a bachelor’s degree between the ages of 25 and 32 had an unemployment rate of 3.2%; high school graduates of the same age experienced a rate almost 300% higher at 12.2%. Also, college graduates earn more money over their careers than those with lesser educations. A report from the Federal Reserve Bank of St. Louis suggests that the average college graduate not only maintains a higher annual income than the average high school graduate throughout the working careers, but the premium for education expands over a lifetime. For example, the present value of lifetime future earnings for a college graduate born in 1980 was $1.43 million at age 30 while the present value of future earnings for his high school counterpart was $941,000, a difference of almost $493,700. A comparison of the earnings of high school and college graduates born in 1970 and compared at age 30 indicated a difference in their future lifetime earnings’ present value of $390,000. The increase of more than $100,000 in additional present value of lifetime earnings between those born in 1970 and 1980 in the past decade suggests that the premium for a college degree over a high school degree has widened. The report concludes that the lifetime benefits of a college education have never been so high. For many people, having a college degree of any major is likely to increase lifetime earnings better than having a high school degree alone. The disparity in income between college and high school graduates is increasing, even though middle-class incomes have been stagnant for more than a decade. During the same period, wages for high school graduates have fallen and continue to be under pressure. However, the advantage of a bachelor’s degree versus an associate degree or a trade certification is less certain. The following table illustrates one example of the time required to recover the cost of an average college graduate’s education and the lost wages going to school compared to a high school graduate who enters the workforce immediately. The calculations are based upon the current average costs for four-year college and community colleges, the typical time required to earn a certificate or a degree, and the average pay premium for certificate and degree holders versus high school graduates. It should be noted that the average retirement age in the U.S. is 62 – following approximately 40 years of working – for a college graduate. Even though it will take the college graduate more than 18 years to reach financial parity with the high school graduate in this example, the former will earn almost $2,000 a month more than the high school graduate for the last 21 years of their work careers ($500,000 more over the duration of a lifetime). A study by the Federal Reserve Bank of New York indicates that the average return on investment in higher education depends upon the major course of study. The study considered 13 different majors including education, liberal arts, and engineering and found the average lifetime return on the investment in a bachelor degree was 15%, well above the return for investments in stocks, bonds, or real estate. However, this conclusion assumes median salaries and the top three-quarters of the college graduating class. The financial advantages of college are less clear for those students who graduate in the lower 25th percentile of their college class. On the other hand, the average return on an investment in an associate’s degree has been about the same since 1982, ranging from 13% to 16% annually. A decision to attend college should include the non-financial consequences of graduation. 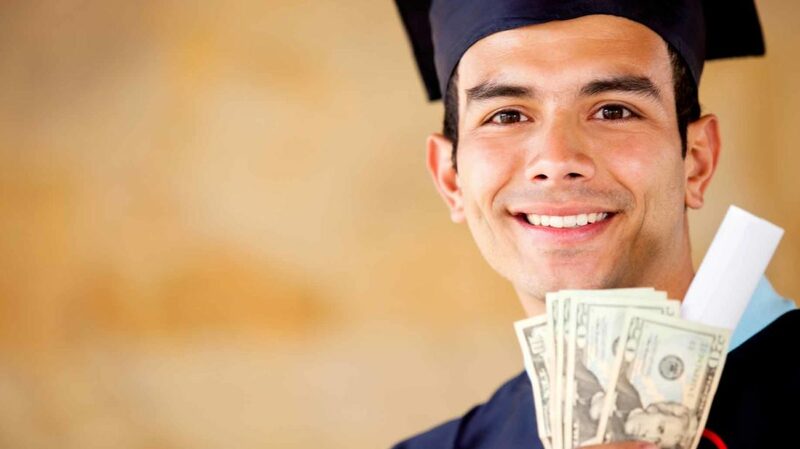 According to the American Economic Association, studies show multiple non-pecuniary benefits for college attendance versus a high school graduation only. College attendees are more likely to participate in civic organizations and vote. Many of the contacts made in college remain close for a lifetime – people you can call on to share a beer, find employment, or be a reference. If the key to success is not what you know but who you know, attending college can be extremely valuable as it vastly expands your network. Students (kindergarten through eighth grade) with a parent who graduated from college are three times more likely than children of high school parents to participate in scouting and arts-related after-school activities, and two-and-a-half times more likely to participate in religious activities. Virtually every financial authority agrees that more education leads to greater lifetime income. According to the Society for Human Resource Management, “Education requirements for jobs are climbing across the board.” The Georgetown Public Policy Institute predicts a 2020 shortage of five million workers with post-secondary educations. While a significant portion of these jobs will not require a college degree, continued specialized training after high school in a community college or an apprentice program will be necessary. The decision to pursue a college degree is a difficult choice. Fortunately, lacking a college degree isn’t always restricting. History is full of accomplished people without formal education. What do you think? Is a college degree with the investment?